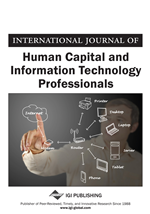 Information Systems Technology (IST) has an increasingly central role in today’s globalised information society. In this regard, it is imperative to recognise the impossibility of a technological life without ethics. As typical components for an ethics program, the authors use Codes of Ethics/Conduct/Practices (CE/CC/CP) as some professions (physicians, lawyers, etc.) have adopted them. The codes are instrumental in developing sound relations with various stakeholders to reduce the number of legal proceedings and contingencies, negotiate conflicts of interest, and ensure the fulfillment of the law. In view of this, the codes should be dynamic and not static documents, used for the advancement in easy reading, understanding, and structure. This will be instrumental for their followers to more easily consult and understand them, and find guidelines for their key ethical problems and concerns. This paper proposes the voluntary GOTOPS code of the techno ethics governance, that is, ethical problems raised by IST. The elaboration and implementation of a code is not an ad-hoc process (Campos & Amaral, 2007a, 2007b) but a development process (process of tasks) that undergoes the articulation of possible mechanisms for the construction and sustainability of the code and for the renovation of the energies that led to its development. In this context, once the integrated process of the tasks was constructed, the approach followed consisted of proceeding with the implementation of this process to construct and support the GOTOPS code in an interactive and user-friendly way, resulting in a uniform, dynamic and interactive code, and the first in Portugal of technoethics governance for a sustainable organisation, business and IST. Thus, the GOTOPS code referred to aims at promoting the responsibility and sustainability of Portuguese organisations through the involvement of its top governance bodies (Abramo, 2000; Berleur et al., 2004; Birkett & Barbera, 1999; Brown, 2003; Campos, 2005; Driscroll & Hoffman, 2000; Initiative, 1998; Navran, 2003; Richard et al., 2002; Webley, 2001).